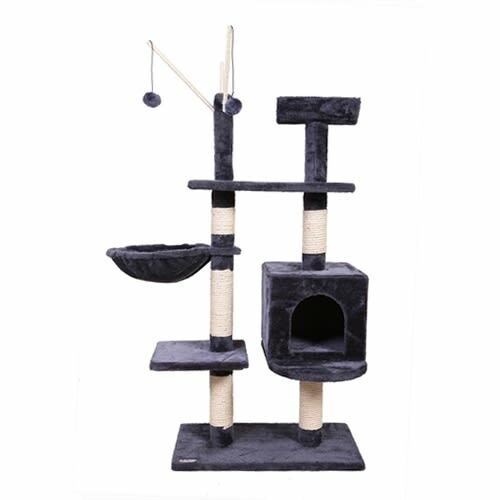 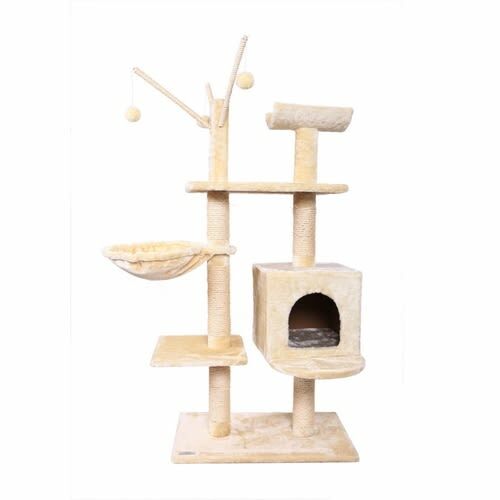 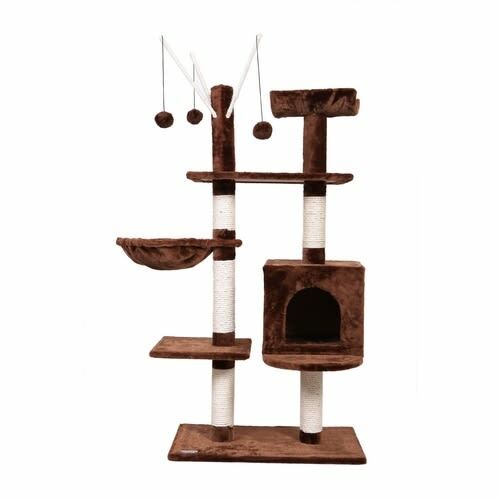 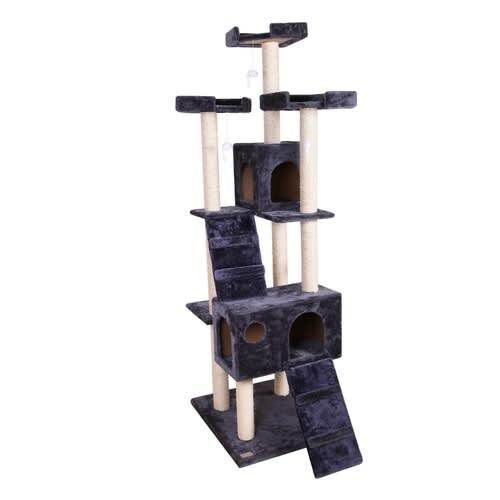 Your favourite feline will love playing, climbing and sleeping on this deluxe cat tree. 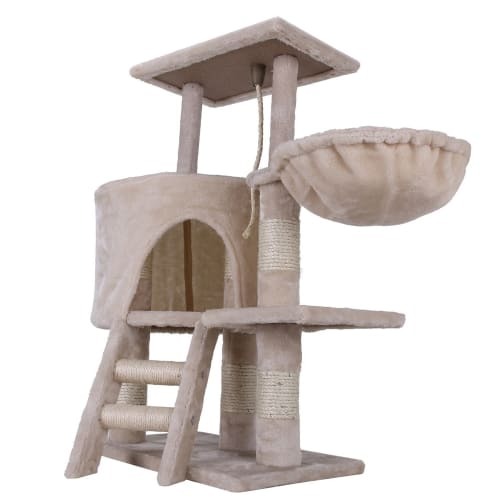 A fantastic choice for your pet to stretch, exercise and rest, this multi-level cat tree is particularly good for the cold and wet days when your cat is stuck indoors with nothing to do. 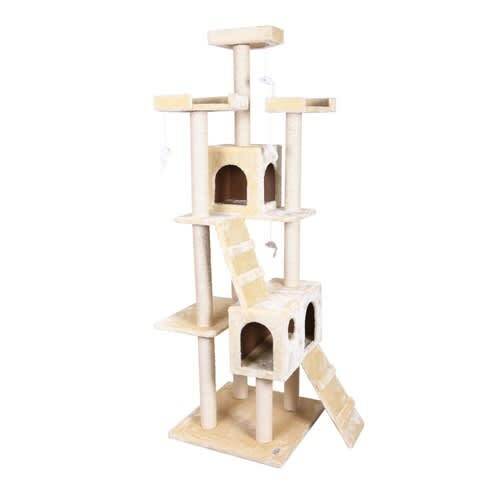 Simple to put together and made with E1 grade bamboo fiber board, your favourite feline will love playing, climbing and sleeping on this deluxe cat tree. 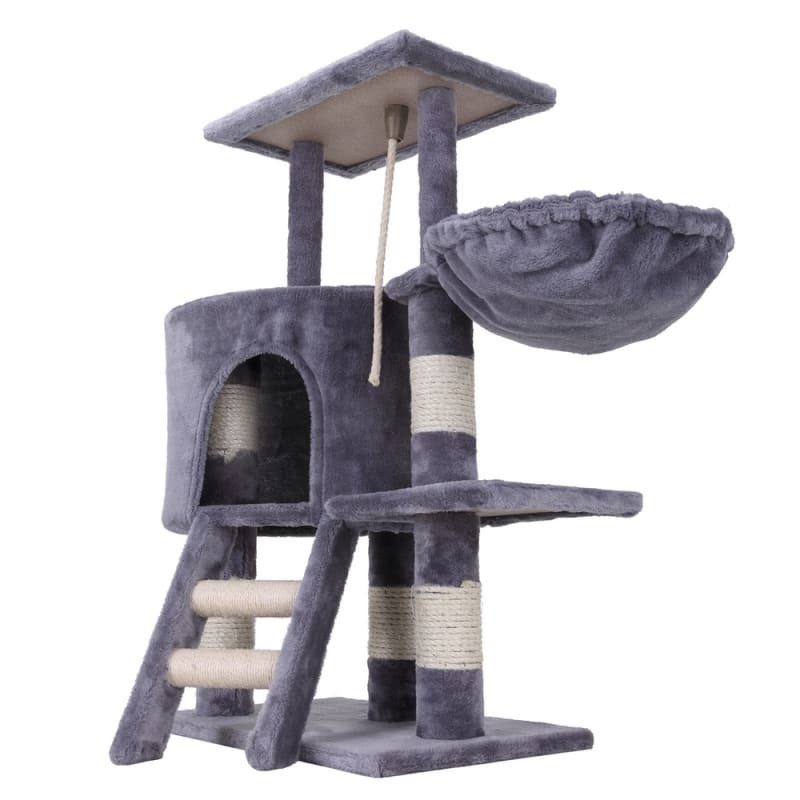 Cave/sleeping area for any cat naps! 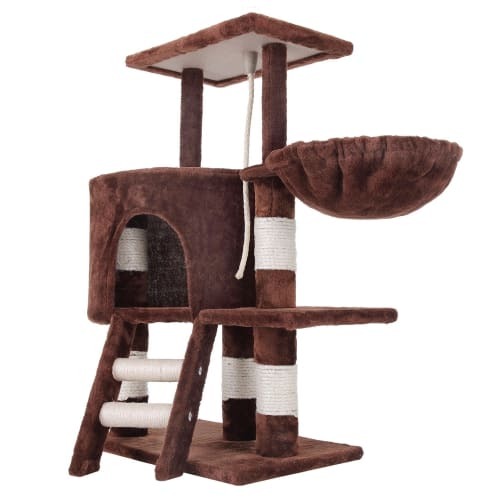 Please note - item cannot be shipped into mainland Europe, hence the prohibitive shipping fee for European addresses.